Bradwell-on-Sea is a small village located on the south bank of the River Blackwater where it meets the North Sea. 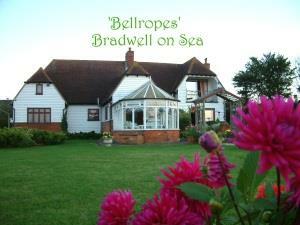 The village has had several names in the past, including Bradwell Juxta Mare and Bradwell near the Sea. The area has been inhabited since the time of Roman occupation in the third century. Like much of the Dengie Peninsula, you can enjoy panoramic views of the wild low-lying Dengie marshes that surround the village. During Roman Occupation, the Romans built Othona, which was one of nine forts built along the south east coast of England, and was part of the Saxon Shore military command. Nearly four centuries later, a chapel was built using Othona's ruins in 654. The chapel of St. Peter's on the Wall is one of the oldest churches in the country and is a Grade I listed building. The chapel fell into disuse and was later restored in the 15th century to then fall into disuse again. It was used as a barn for many decades before being restored and reconsecrated in 1920. Two decades later, RAF Bradwell Bay was constructed in Bradwell-on-Sea during WWII to strengthen east coast defences. The entrance to this disused airfield is marked by a memorial which is a model Mosquito aircraft. It lists the names of 121 Allied airmen 'who in answer to the call to duty left the airfield to fly into the blue forever.' Bradwell Bay was the only fighter station to have used Fog Investigation and Dispersal Operation (FIDO), which was a system used to disperse fog and dense smog so that aircraft could land safely. Not long after the end of the Second World War, Bradwell Nuclear Power Station was built. The station first generated electricity in 1962, and decommissioning then began forty years later. In the twenty-first century, the London Array offshore wind farm was completed in 2013. It is currently the largest offshore wind farm in the world and should be visible from Bradwell-on-Sea. The village of Bradwell-on-Sea, centred around the Church of St. Thomas, lies over a mile inland and is separate from the hamlet on the edge of the River Blackwater, which is known as Bradwell Waterside. 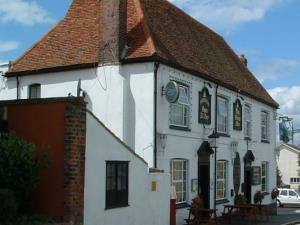 The conservation area in Bradwell-on-Sea centres on St. Thomas' Church and covers the main historic settlement, extending along the High Street, South Street and part of East End Road. 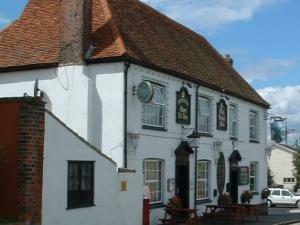 There are 23 listed buildings within this area, all are Grade II listed, aside from St. Thomas' Church and Bradwell Lodge which are Grade II* listed. The buildings date from 13th to 19th century, and the area is relatively unchanged from its 19th century appearance. By the River Blackwater, a new quay in the 13th century helped the thriving sheep market and the area saw land reclamation from this period up to the 19th century to provide more arable land for pastures and hunting. Follow the Red path from the eastern end of the car park for roughly half a mile as it will lead you to St. Peter's Chapel which you can see in the distance. The chapel is always open to visitors, but sometimes there may be a service on. Holy communion is held at 9am every Thursday. Other services and events are also held throughout the year. From the chapel's entrance, the path turns right to encircle and then pass back through a small wooded area. You will pass Linnet's Cottage, which was once home to Walter Linnet who was one of the last professional wildfowlers. The cottage is now an observatory for the Essex Birdwatching Society. Emerging from the woods, you will see the chapel to your left and further ahead is a derelict observatory tower. Taking the steps ahead to walk along the sea wall, you will pass the Bradwell Shell Bank Nature Reserve to your right and the Othona Community to your left. Continue along the sea wall for three and a half miles. Along the way, you should be able to see the London Array, which is currently the largest offshore windfarm in the world. 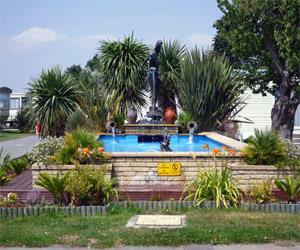 You'll also be able to see Clacton-on-Sea on the north coast of Essex, as well as Mersea Island. Further along the sea wall, you will pass the Bradwell Nuclear Power Station and Bradwell Marina. Up ahead you will see the Bradwell Quay Yacht Club, take the path heading off the sea wall and turn left onto Waterside Road. Continuing along this road, you will pass the Green Man pub on your right. When the road takes a sharp right, find the footpath straight up ahead, which is to the right of the old Post Office building. The footpath runs between hedges and continue along it for 60 yards until you reach a large field. Follow the path to the right and cross the field before passing a line of trees up ahead. Heading across another field, you will then see houses to your right and come out onto Trusses Road. Instead of continuing along this road, take the lane heading south and you will soon pass Down Hall to your left. Continue along this lane for half a mile. This small lane is the High Street and will soon become a wider marked road before you pass the Bradwell-on-Sea village signs. Head past the houses and cottages and when you reach St. Thomas Church, turn left down East End Road. Continue along the road to reach the car park. The Church of St. Thomas in Bradwell-on-Sea has a 14th century nave and chancel which was heavily restored in 1864. The tower dates back to 1706. The church holds regular services and also helps to support and maintain the chapel of St. Peter's on the Wall. Flowers are arranged in the church each week and at all the church festivals. On special occasions, flower festivals are also held at St. Thomas Church. MV Ross Revenge ship was the home of Radio Caroline and can be seen in the Blackwater Estuary. Constructed in 1960, the ship notably took part in the Cod Wars during the 1970s. After being purchased by Radio Caroline and outfitted with a 300ft antenna mast, broadcasts began in 1983. Her final pirate broadcast took place in 1990. She ran aground a year later, bringing the era of offshore pirate radio in Europe to an end. The Dengie National Nature Reserve is a Site of Special Scientific Interest and is made up of 3105 hectares. The reserve is a large and remote area of tidal mudflat and saltmarsh between the Blackwater and Crouch estuaries near Bradwell-on-Sea. The site is home to nationally and internationally important wintering populations of wildfowl and waders, and in summer supports a range of breeding coastal birds. The flats between the tides and the saltmarshes at high tide provide extensive feeding areas for these populations. The formation of cockleshell spits, ridges and beaches is of geomorphological importance and shows coastal erosion and deposition processes. There are significant numbers of Knot, Turnstone and Dunlin, as well as good numbers of Oystercatcher, Wigeons, Golden Plover, Curlew, Pintail, Shelduck and Bar-tailed Godwit. 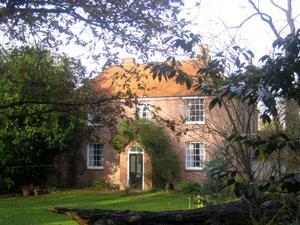 Essex Outdoors in Bradwell-on-Sea is a coastal outdoor education centre based on the River Blackwater. It is recognised as a leading provider of sailing, yachting and watersport activities. Other activities on offer include archery, climbing and high ropes. It is one of four centres in Essex which offer thirty different activities. The centre offers a purpose-built residential unit with accommodation for up to sixty young people. As well as residentials for primary and secondary schools, the centre offers multi-activity days, development programmes, school holiday activity programmes and more. You can also take technical courses at Essex Outdoors: Bradwell, which include RYA Sailing, Paddlesport courses, RYA Powerboating and First Aid courses. Additionally, audio posts, signage and waymarking will continue to be installed. 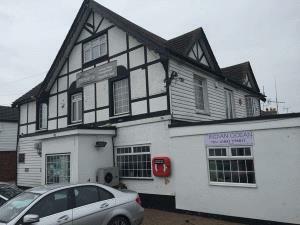 This work has been undertaken as part of the Maldon District Council’s Dengie Gateway Project, which is funded by the Coastal Community’s Fund.